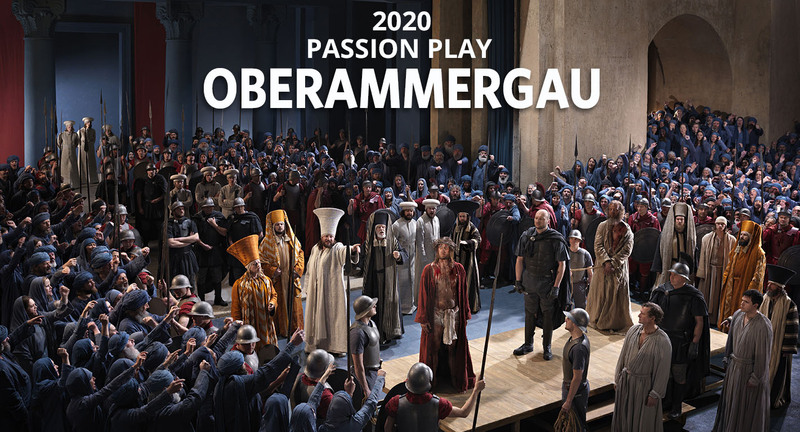 In 2020, the picturesque alpine village of Oberammergau will once again host its world-famous performance of Passion Play. More than 1,500 Oberammergau villagers will participate in this dramatic event - a long-standing tradition that originated in 1634. What makes this production so special is that the opportunity to see it only occurs once a decade. Devastated by the plague in 1633, the people of Oberammergau swore an oath that if they were spared, they would perform the "Play of the Suffering, Death and Resurrection of Our Lord Jesus Christ" every ten years. At Pentecost 1634, they fulfilled their pledge for the first time on a stage they put up in the cemetery above the fresh graves of the plague victims. 400 years later, planning for the 42nd Passion Play has begun. All actors of the world's largest amateur dramatic performance come from the village, since a special play law is in effect. All participants, from actors playing the big speaking parts such as Jesus, Mary or Judas, through members of the choir, orchestra members, firemen and ushers, must have been born in Oberammergau or lived there for at least 20 years. While the play will undoubtedly be the focus of your pilgrimage, we'll make your experience even more fulfilling by revealing not only historic Oberammergau, but also the richness of Bavaria, and beyond. Discover soaring peaks, magical castles and charming local traditions on our varied itineraries.